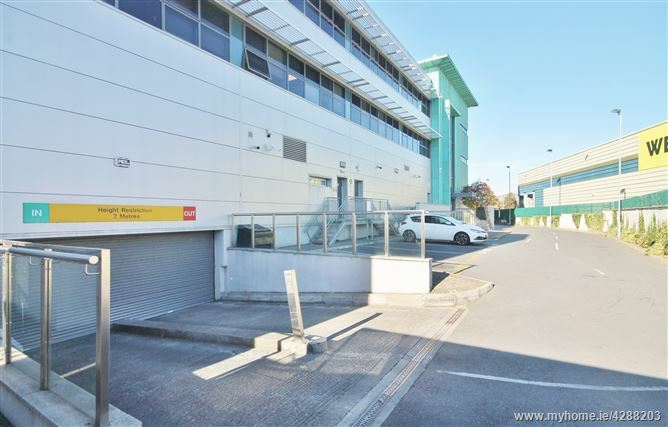 Situated on the eastern side of Greenhills Road (R819), close to the junction of Airton Road, and opposite the Harvey Norman Retail Park, approximately 0.5 Km from Tallaght Town Centre, 8 km south-west of Dublin City Centre, and 2 km west of the M50 Motorway at Junction 11 (Tallaght Exit). 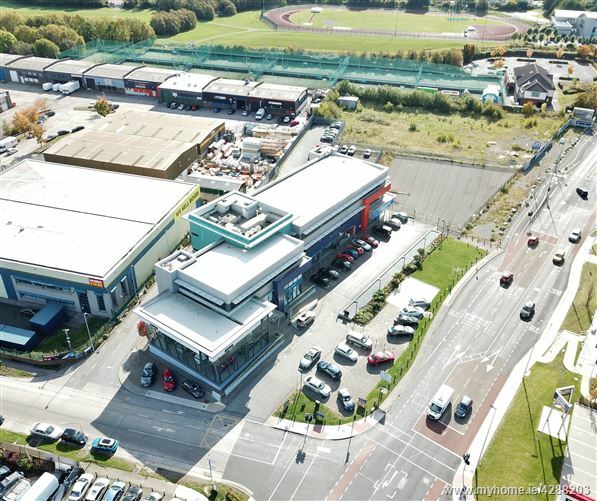 This strategic position provides nearby access to the surrounding amenities of Tallaght Village, the Square Shopping Centre and to all of the main arterial routes into Dublin. The immediate area comprises a mixture of commercial buildings and retail warehouses. 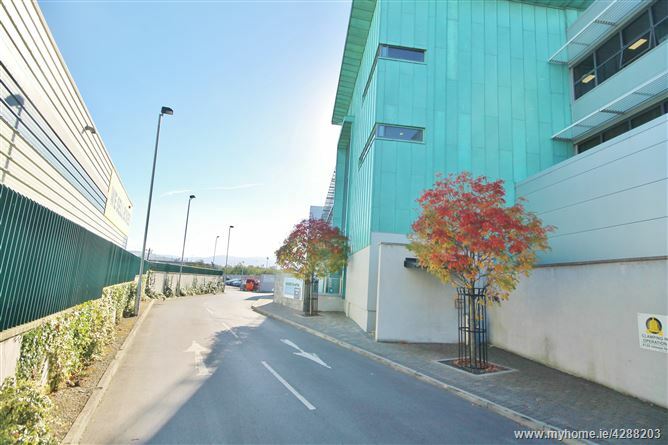 The wider area features a number of established, high density housing estates, Institute of Technology Tallaght (ITT) and excellent provision of local amenities with access to major roads, N81 Road and M50 motorway. The surrounding area benefits from excellent public transport infrastructure. Dublin Bus provides a frequent bus routes that served the immediate area. The Red Line LUAS station situated at Cookstown is located approximately 1.5 km North East of the subject site. 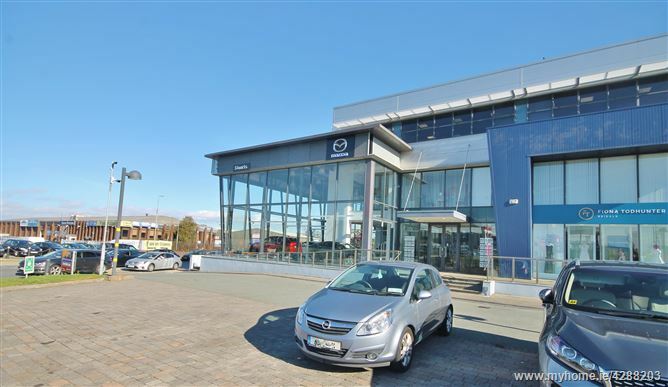 Located close to the centre of Tallaght, the largest town of South County Dublin, and the largest suburb of Dublin. 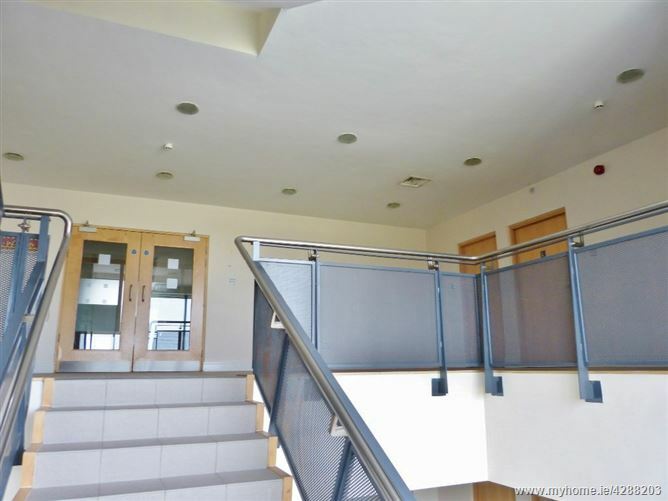 A Modern Three Storey over basement building, extending to approximately c. 2,572 Sq. 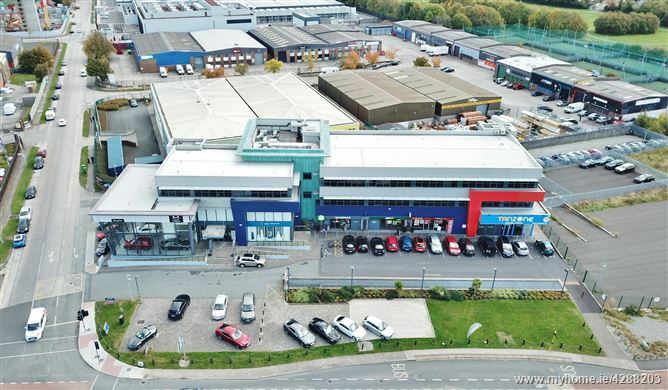 Mts/ 27,688 Sq Ft, subject to seven tenancies, arranged in Four Retail Units, Car Showrooms, and Two Floors of Offices over a Basement Car Park of 70 spaces, and extensive Four Court Parking. 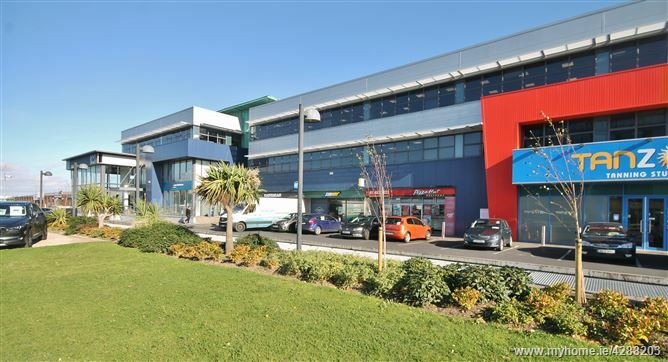 The property is built to a high specification, and is being sold fully let, with excellent occupiers including: Stuarts Garages, Day Break convenience store/ Subway, Fiona Todhunter Bridals, Pizza Hut, Tanzone, Thornton Group and Pieta House. The current passing rent is €264,000, excluding outgoings, rising to €299,000 by 2020. 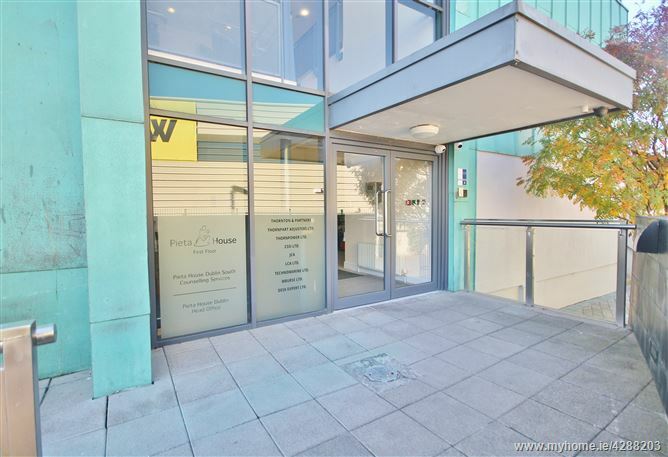 Each area has independent access and the offices are air conditioned with Lift access to all floors, and attractive reception area with ample circulation areas. 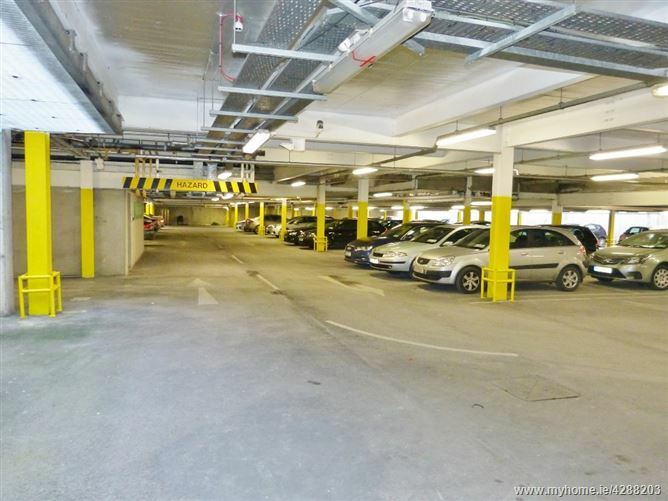 25 year lease from 1/4/05 to Rayro Stores LTD trading as Daybreak and Subway at a current rent of €53,325 per annum. 25 Year Lease from 1/11/03 to Greg Bivol trading as Pizza Hut at a current rent of €25,200 per annum. current rent of €17,500 per annum. Unit 6: Ground Floor Retail Unit c. 188 Sq. M/ 2,028 Sq. 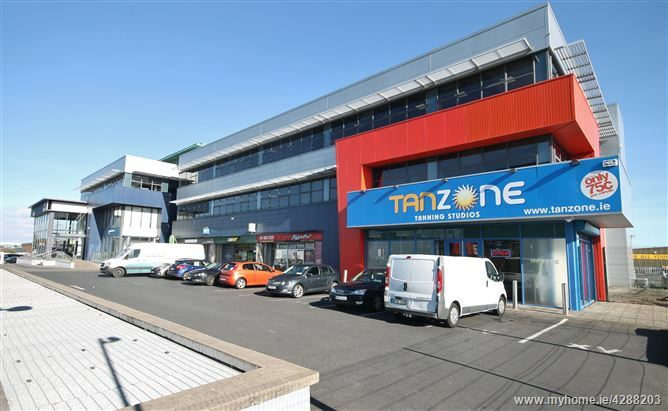 Ft Let to Tanzone (Tallaght) LTD on a 14 year lease from 17/8/2015 at a current rent of €23,000. Unit 7: Second Floor Office Suite c. 802 Sq. M/ 8,637 Sq.Ft. 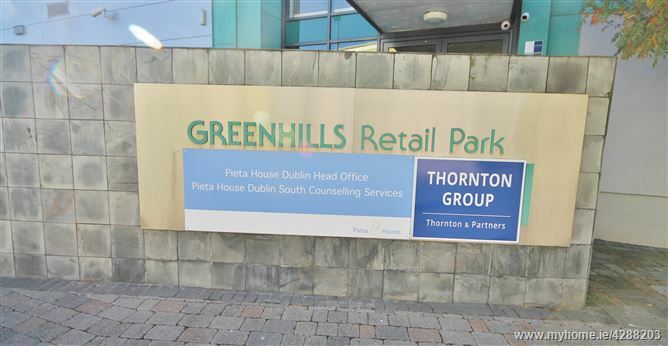 Let to Thornpart Adjusters LTD t/a Thornton Group on 10 year lease dated 22/6/15 at a current rent of €50,000 (Rising to €62,500 in 2020). Unit 8: First Floor Office Suite c. 832 Sq. M/ 8,995 Sq.Ft. 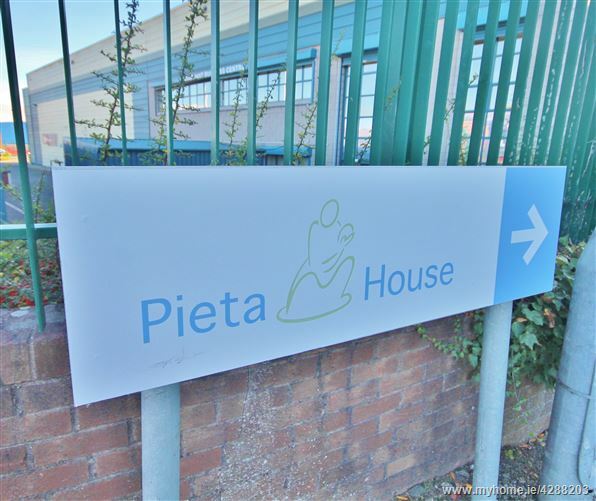 Let to Pieta House on 10 year lease dated 22/11/17 at a current rent of €55,000 per annum.